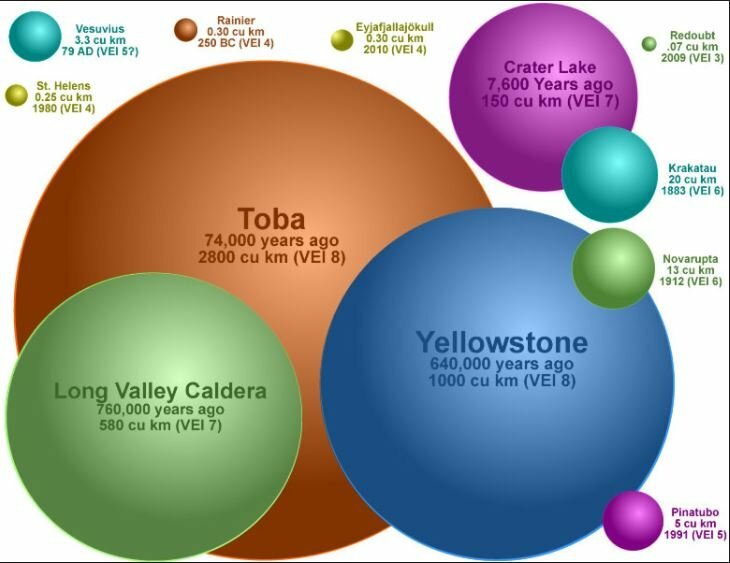 These spheres represent the volume of erupted tephra for some of the most widely-known explosive volcanic eruptions. 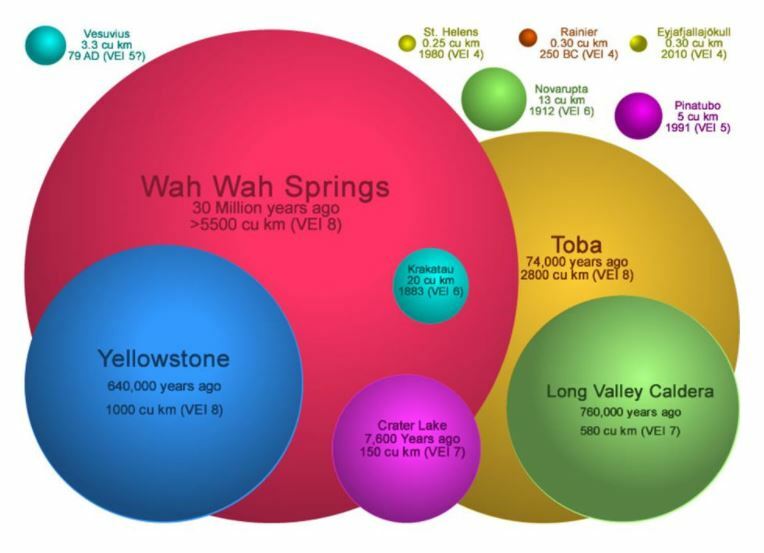 Although most people believe that Vesuvius (79 AD – the Pompeii eruption), Mount St. Helens (1980), and Mount Pinatubo (1991) were enormous, they are very small compared to ancient eruptions such as Wah Wah Springs, Toba, Yellowstone, or Long Valley Caldera. Yes, some volcanic eruptions are thousands, or even a million times more explosive than others. It has been almost 30 years since the last VEI 5+ (Mount Pinatubo, 1991, VEI 6) occurred and the probability that a VEI 5+ volcanic eruption will occur within the next 5 years is now over 95%. There are around 10 – 14 VEI 5+ eruptions every hundred years and for the last 300 years the time between eruptions has been as short as 1 year and as long as 23 years. The current gap could be the longest recorded in three centuries. 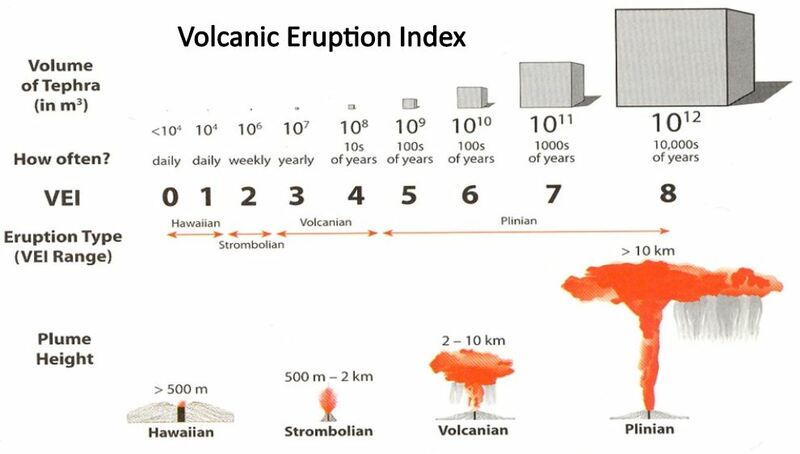 There are, on average, 2 eruptions of intensity 6 every hundred years and so the probability that an eruption of VEI 6 could occur within 5 years is about 50% (current gap 24 years, average gap 50 years). That a supervolcanic eruption of VEI 7 or greater could occur within the next 5 years is less than 1%. During the 19th century VEI 5 eruptions or greater occurred every 11 years on average with the Krakatoa eruption being the greatest at VEI 6 in 1883. Through the 20th century, an eruption of intensity 5 or greater came at intervals varying from 1 year upto 23 years with an average interval of just under 7 years. The Novarupta (1912) and Mount Pinatubo (1991) eruptions were classified at VEI6. So far in this century the 2010 Eyjafjallajökull eruption in Iceland “only” reached a VEI intensity of 4. The Puyehue-Cordón Caulle eruption in 2011 was judged – by some – to be of intensity 5 was really just a VEI 4. The 2012 Mt. Etna eruption was rated a 3+. In other words, the last VEI 5 level eruption was in 1991 and a major eruption of intensity 5 or greater is now overdue. The interval of 22 years is almost as long as the longest interval between major eruptions in the 20th century. The impact of the next eruption has to be assessed in a short and a long-term perspective. Immediate loss of life and property is primarily a function of population in the area of the eruption and of the time available for evacuation. Populations are higher now than ever in the past but warnings come earlier and possibilities for evacuation are better than ever before. The population directly at risk from volcanoes in 2000 has been estimated at 500 million +. The long-term impacts are however independent of the location of the eruption. Such a giant eruption could trigger a year or two without a summer. The key will be the extent of the ash, the altitude the plume reaches and for how long it persists before dispersing. It will not be a Toba like cataclysm which affected the evolution of humans, but it may well be the impulse which drives Planet Earth into another Ice Age or even the next Glacial Age. Extreme Geohazards: Reducing the Disaster Risk and Increasing Resilience VEI values have been determined for more than 5,000 eruptions in the Holocene…. None of these reached the maximum VEI of 8. Several of the most devastating eruptions during the last 2,000 years had VEI values lower than 6. For example, the VEI 5 eruption of Vesuvius in 79 AD destroyed Pompeii and Herculaneum. Since 1500, more than 20 eruptions of VEI 5 or more occurred, with only the Tambora eruption in 1815 reaching VEI 7. It is worth noting that the extremely disruptive eruption of Eyjafjallajökull only reached an estimated VEI of between 3 and 4. The size and magnitude of the eruption, is only loosely related to the resulting damage. 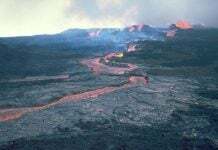 For example, mudflows triggered by the VEI 3 eruption of Nevado del Ruiz (Colombia) in 1985 caused one of the worst volcanic disaster in the 20th century. Of the nine greatest volcanic disasters in terms of casualties since 1500, only three (Tambora, Krakatau and Laki) qualify as ‘very large’ eruptions with a VEI of greater than 5. During the past 36 Ma, 42 VEI 8 eruptions have been identified. The authors indicate that these eruptions are not evenly distributed in time but seem to cluster in two pulses over the past 36 Ma. Periods with as many as 22 events/Ma and down to 1.4 event/Ma have been identified. More recent examples are the eruptions of Taupo (around 24,000 BC), Toba (around 74,000 BC), and Yellowstone (around 640,000 BC), for which the impacts have been studied in detail. More recent large eruptions with a VEI of 5, 6 or 7 include Thera (≈1630 BC), Vesuvius (79 AD), Laki (1783), Tambora (1815), Krakatau (1883), Novarupta (1912) and Pinatubo (1991). Each of these eruptions (except Novarupta, due to the remoteness of the area) generated immediate loss of life and structures at local distances (through the generation of pyroclastic flows, ash and gas emissions, tsunamis) as well as long-term losses at regional and global distances. 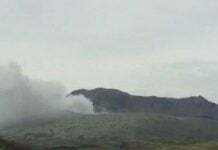 These eruptions impacted the climate for long periods by injecting ash in the stratosphere at high altitudes (Tambora’s ash column height reached 43 km) and triggering temperature changes which heavily impacted the harvest and led to famine and epidemics in several areas of the planet. 1816, following Tambora’s eruption, is recalled as ‘the year without summer’, and generated abnormal temperatures in China, Europe and North America. 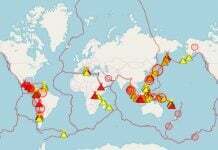 Volcanic eruptions are dangerous and unpredictable. They will occur and we have no means of preventing them. Within 5 years it is close to a certainty (> 95%) that a VEI 5+ volcanic eruption will occur. With global preparation loss of life can be minimised. However, we will have to live with the global effects… And those will be cataclysmic!